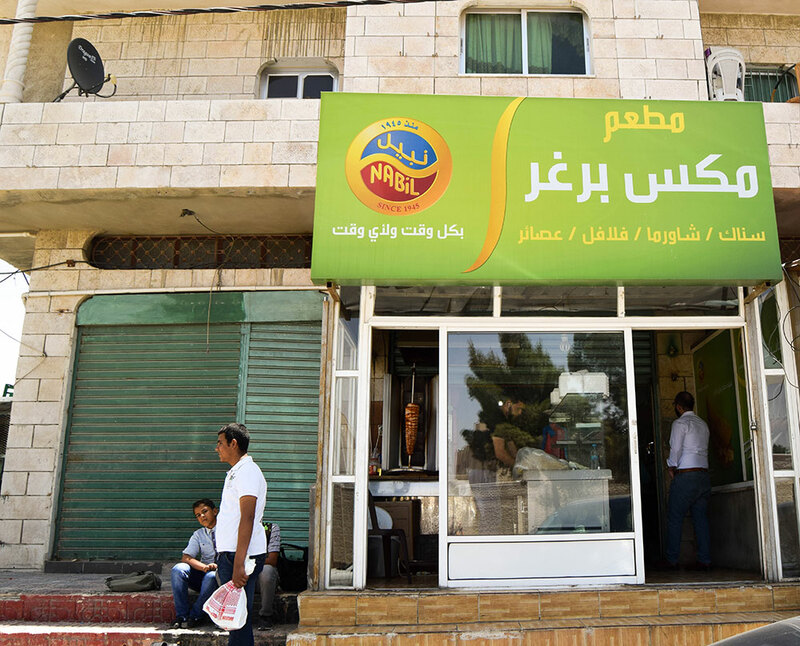 Born and raised in Tafileh, a small town in southern Jordan, En’aam had to push against the conservative traditions of her community to pursue her dream of becoming a restaurant owner. Like many of us, En’aam Al-Qawab’a had a dream. But in a culture where women's primary role is expected to be a stay-at-home mother and wife taking care of the domestic realm, she was different. Her love for cooking and creativity in the kitchen is what started it all. Seven years ago, En’aam (known as Um Muhannad) had an idea to open a small restaurant that sells traditional sandwiches using special seasoning and different types of bread. However, it was still strange for a woman to own a business and work in it in Tafileh at the time. “It was almost as if I was doing something wrong. No one believed that I wanted to not only open a restaurant, but to also work and spend the entire day there,” said En’aam. Mix Burger is what she called her restaurant; a small place located near the Tafileh Technical University which attracts students from all over the country. The place quickly became a popular destination in this small town, buzzing with student life, and with the full support of her husband, things were picking up quickly. However, when one of the main gates of the university located right in front of the restaurant, was shut down, En’aam’s business along with many others, suffered great losses. But instead of resigning herself to the status quo, she saw that as an opportunity to work hard and expand her business skills. “I found out about the Restaurant Capacity Upgrade initiative run by the USAID Jordan Local Enterprise Support Project and decided that it was just what I needed to become better at what I do”. She was the only female in Tafilah who attended the trainings, and she made sure to make the best of it. She learned skills that she lacked for managing her business such as marketing, customer service, business management, English language etc. She was determined to make her restaurant not only survive, but grow and become one of the best in the area. The skills she learned gave her the confidence to approach two nearby schools to offer her services to them, and she managed to become the contracted lunch time caterer to both schools, where she has to make 200 sandwiches on a daily basis. “The schools admired the fact that I was a woman visiting boys-only schools alone, and that I make sandwiches that are healthy and different” told us En’aam. She also hired five new employees to boost business, including a woman who helps out in the kitchen, a Syrian young man, and her son who she helped become specialized in Shawerma making and food decoration. With the help of his mother, En'aam's son became a Shawerma Master; a highly desirable skill in Jordan's fast food restaurant industry. She fully supported his training and hired him in her restaurant. 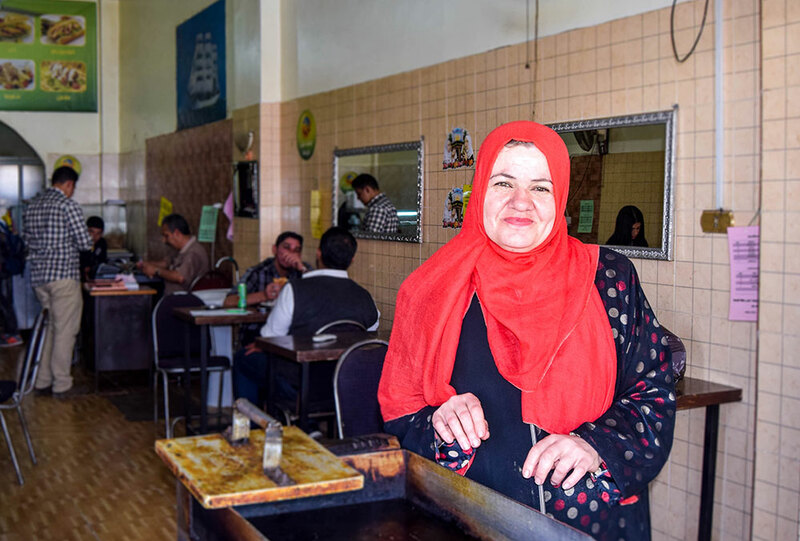 After upgrading the restaurant’s capacity and enhancing her business skills, Um Muhannad managed to increase her revenue by 3,000 JOD just 3 months after finishing the training, which is enough to cover expenses and earn profit. With this increase in income, she was able to send her daughter to university and cover all her expenses. To the people of Tafileh, En’aam is a role model, a friend and a mother to many of the local community’s young men and women. Many realize how special she is and visit her restaurant to get to spend time with her and unwind after a long day. “Boys and girls come to me and tell me their secrets, parents send their girls to my restaurant without a single worry, and I get to spend the day with people I love. What more can I ask for?”.